1. It’s a given that you will be living among plaster dust and sawdust for the duration of your renovation but what you likely didn’t know is that this dust takes a long time to finally settle so expect to vacuum frequently and well after tools down. (PS. You can’t use domestic vacuums on plaster dust – the dust is too fine and will damage your machine. Hire or buy a commercial cleaner instead). 2. During a renovation, your home will no longer be your haven but rather the bane of your existence so try to have at least one room at a time that provides small reprieve from the mess – one room of calm and order in which to escape and be reminded of what your home can, and will, be again. 3. If living amongst a renovation, expect to be without water and electricity at multiple intervals and sometimes for long periods of time. Be armed with a small gas cooker and become acquainted with the barbecue. Also stock up on bottled water and portable LED lights (it’s just like camping). A courteous tradesman will give you adequate forewarning that you will be without your much relied on facilities but it is guaranteed that you will experience some unscheduled cuts too. 4. 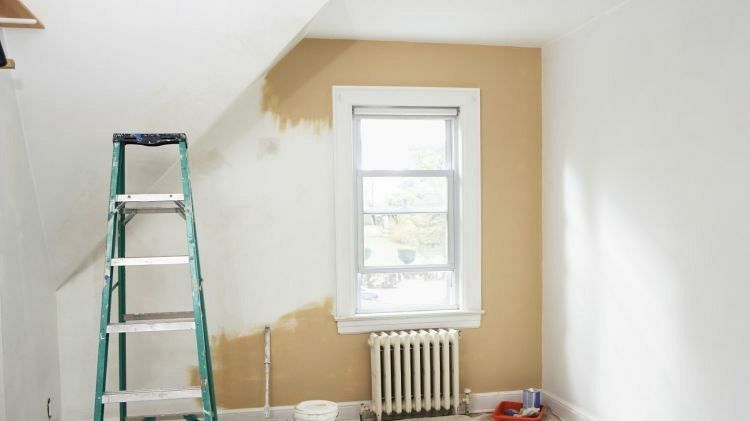 The renovation will take twice as long as planned and at some point you will be wondering why you didn’t just purchase a nice, new three-bedroom brick home that requires no improvements. Soldier on. Though you may not be able to see the light, it is there somewhere, probably through the plaster dust. 5. You will change your mind on your design choices many times along the way despite your best researching and planning efforts. Those who show signs of uncertainty or vulnerability should expect a bombardment of unsolicited advice from over zealous friends and tradesmen. I consider myself a confident design and renovating decision maker, but even I can lose my sureness by too many unwelcome opinions. Hold strong unless you become wildly outnumbered. 6. You will become completely and hopelessly exhausted, yes, from the physical labour but more than anything, by the innumerable decisions you need to make at every turn. You will certainly lose sleep laying awake at night agonising over whether or not the bathroom tiles due for laying the next day truly reflect your vision or are a they bit too blah? Is the shape too much of a fad? Maybe you need a contrasting grout? But will a contrasting grout conflict with the vanity stone colour? 7. Renovating is all consuming and your social life will come to a rude, grinding halt. Of course, the extent of this is subject to how hands on you are with the project, which is subject to your budget, but I can tell you that my leisure time has been heavily compromised for as long as we’ve been renovating. 8. The finished result will be one of the most rewarding achievements of your life. It is the feeling of accomplishment that comes with renovating that keeps us coming back for more. 9. And you will do it again. Renovating is like childbirth, the end result is so thrilling that you forget the pain.